Welcome to Captive Power Systems the leading Kirloskar Generators Dealers in Hyderabad. 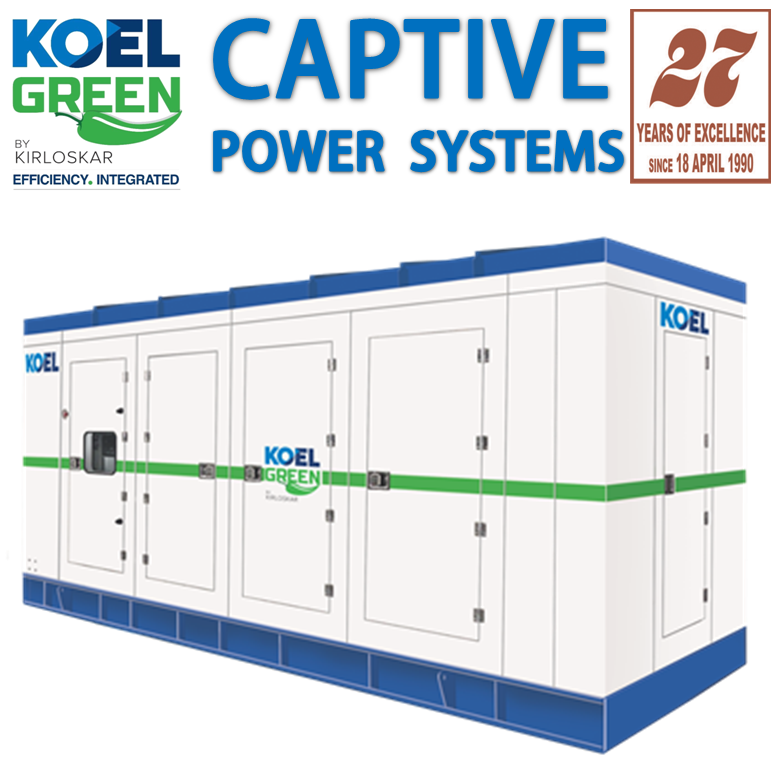 Captive Power Systems has completed its journey of 27 years at the leading Kirloskar Diesel Generator Dealers in entire South India. With the experience in the field and the business generated by us in this long journey we appriciate the trust our customers have shown on us and the support given by the Kirloskar Team. 560 Diesel Generator Sets in the range of 160 to 1010 KVA. 210 Diesel Generator Sets in the range of 320 to 1010 KVA. 150 Diesel Generator Sets in the range of 500 to 1010 KVA. 140 Diesel Generator Sets of 250 KVA.60 D.G.Sets of 320 KVA. 50 Infra projects (for flats & Villas). 16 Nos of 250 KVA Diesel Generator Sets in one single Project called Aparna Sarovar, Nallagandla, Hyderabad. 14 Nos of DV Series 400 to 750 KVA Diesel Generator Sets from Aparna Constructions & Estates Pvt Ltd .
4 Nos of 400 & 2 NOS of 500 Bio – Diesel Diesel Generator Sets from Aparna Infra Housing Pvt Ltd.
At Captive Power Systems the Kirloskar Generator Dealers in Hyderabad we deal in entire range of the KOEL Chhota Chilli and KOEL Green which are the Genset brands of Kirloskar Oil Engines Ltd (KOEL). We are providing after sales service to our customers which is the key in gaining the trust of our customers.